Community Service enables students to enhance their personal and interpersonal development by learning through experience. It provides opportunities for self-determination and collaboration with others, fostering a sense of accomplishment and enjoyment from their work. It is an unpaid and voluntary exchange that has a learning benefit for the student. The rights, dignity and autonomy of all those involved are respected.CHIREC understands that Community service can have a lot of positive effects on students, such as helping them to develop skills, making contacts, and allowing them to improve the quality of life of others. 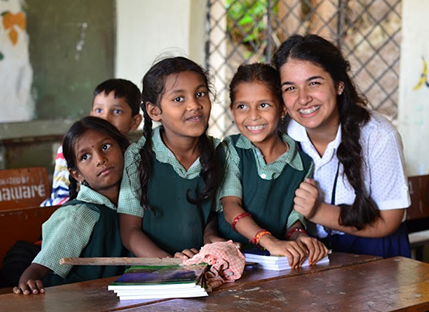 Hence students from grade IX are involved in various Community service activities involving underprivileged children, sick children in Cancer hospital, orphanages, senior citizens inmates at Old Age homes etc. The Veni Rao Foundation is an initiative undertaken by CHIREC International, Hyderabad`s premiere educational institution. Under the leadership of Founder Director Ms. Ratna Reddy, CHIREC has grown by leaps and bounds in the past 30 years. Since its inception, CHIREC has been very active in the field of community service through furthering access to quality education and serving the underprivileged in the neighboring communities. To commemorate its glorious 30 years journey, CHIREC has set up the Veni Rao Foundation, a charitable trust in the memory of late Smt. D. Trinadha Veni & Shri. D. Appa Rao, parents of Mrs. Ratna Reddy, Director CHIREC. 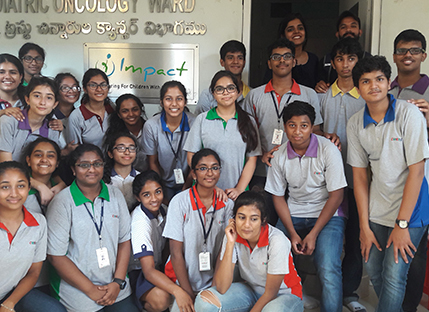 While the whole world was celebrating CHRISTMAS at their homes, the students from International section of CHIREC visited MNJ Cancer Hospital on 25th December 2018 to celebrate Christmas with the children suffering from cancer. The CHIREC students sung Carols, played games and distributed goodies to these children. They spent time interacting with those children and encouraged them to be brave and fight that disease. 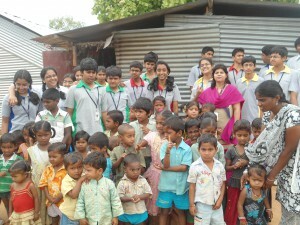 The children were very happy and the smile on their faces gave us a feeling of satisfaction. An Evening with SAHI children. 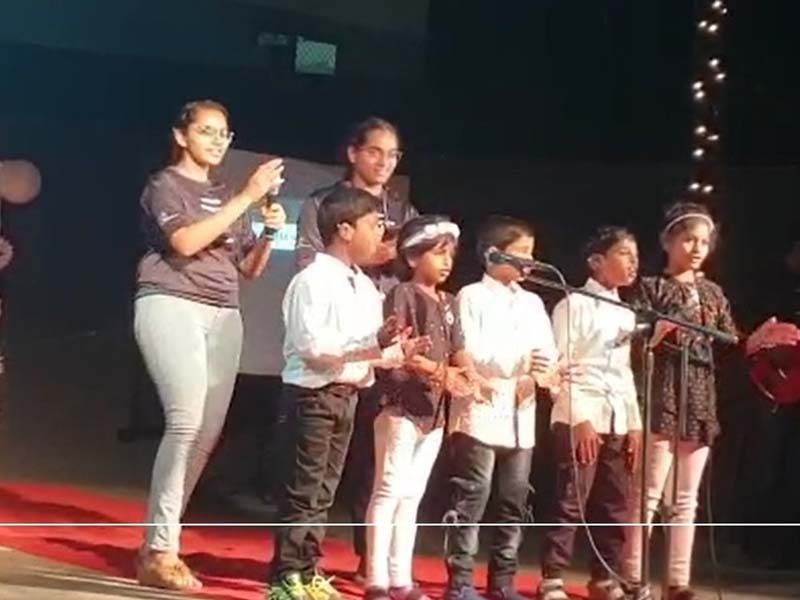 Our student volunteers and interns Davaluri Khandavi, Vaidehi Gupta, Isha Reddy, Viha Reddivari, Shaurya Sai Alapati, Shreya Pandloore, Mohammed Ibrahim Aseel, Navya Ambavaram and Arvind Reddy Kondapalli organized an evening of music and dance for all SAHI children. Students have worked from the ground up to put up this event and interacted with senior doctors and representatives from Apollo. As a part of the event, CHIREC volunteers trained the SAHI children in carol singing, dance and a fashion show. A few of these SAHI children were recently operated for cochlear implants put up a good show, thanks to the efforts of our students. It was a great opportunity for the students and we look forward to active participation of more students in upcoming SAHI events. The event was well attended by SAHI families and senior doctors associated with SAHI. 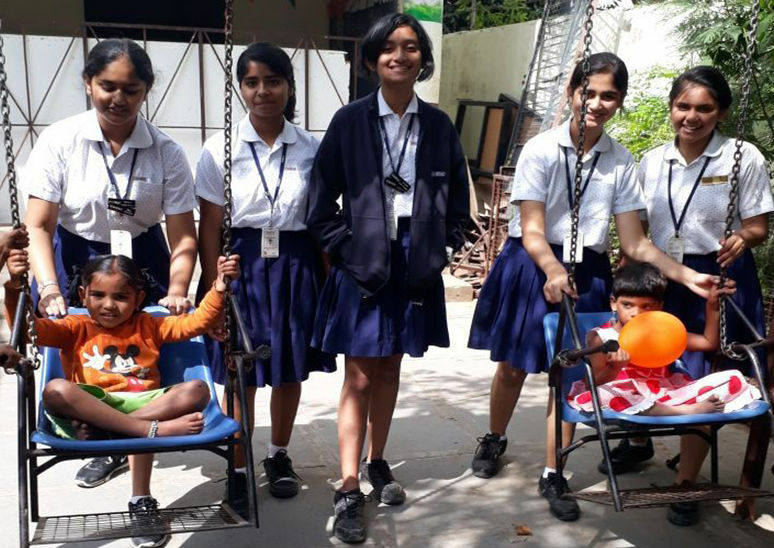 The students of the Interact club of CAIE Wing visited the Street School, Lingampally on 15th December 2018 with a decorated Christmas tree. The street school is a small school that was started to support children who have no homes and live and sleep on the streets. Such children are brought to the street school and given a basic education so that they can be admitted to normal schools once ready. The students of the street school were asked what they wanted as a gift from Santa Claus for Christmas. They wrote these on a piece of paper and stuck them to the Christmas tree. The members of the Interact club collected the wish list and worked hard towards gathering funds to buy the materials for the street school children. On 21st December 2018, members of the CHIREC Interact Club visited the Street School again to play games and to distribute gifts to the children, which included school bags, pencil boxes and biscuit packets. HelpAge India is an NGO that voices the concerns of elders to help them live more dignified lives. Established in 1978, its mission is “to work for the cause and care of disadvantaged older persons and to improve their quality of life.” One of the major areas that the Veni Rao Foundation contributes to is the Welfare of Senior Citizens. 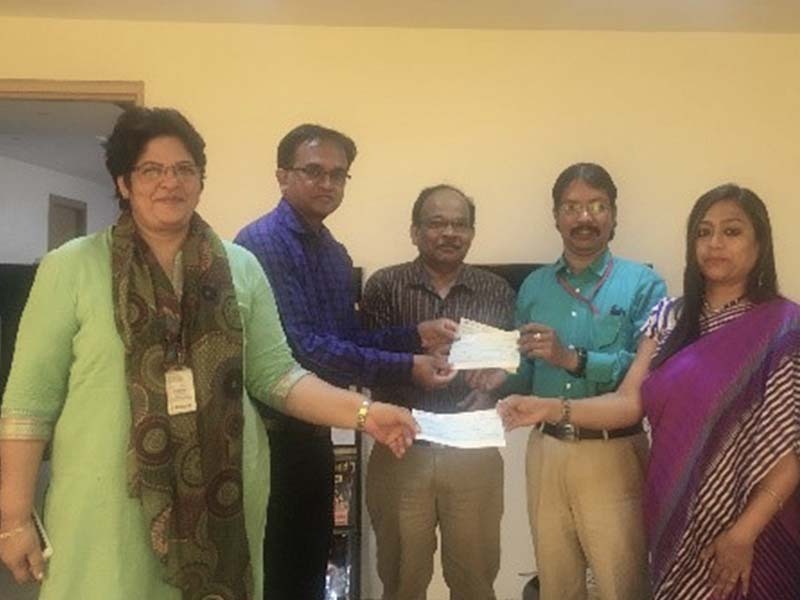 The Veni Rao Foundation, in partnership with CHIREC International, donated a sum of Rs. 3,42,728 to the mobile health units of HelpAge India in the Hyderabad and Secunderabad area. This amount will be used to provide Healthcare Services in inaccessible and difficult terrains, with a special focus on serving the elderly population and those in need. The CBSE section of CHIREC International as a part of their community service activities conducts weekly training for the adopted government school students and the students of Mahima Ministries Orphanage School on the creative sessions. These sessions include art and craft, origami and other fun filled activities. 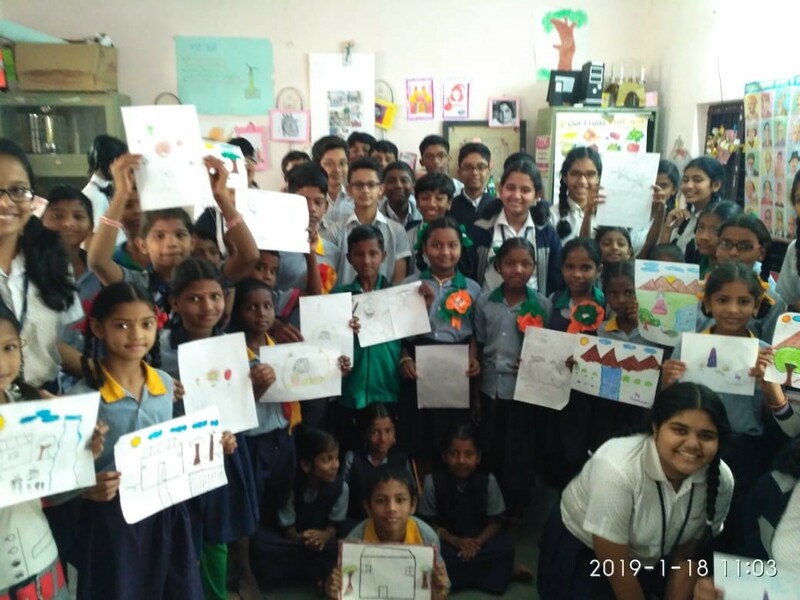 On 18th January 2019, the CBSE students of class VIII, section D, E & F visited the adopted government primary schools of Anjaiahnagar & Gopinagar and Mahima Ministries Orphanage school at Ameenpur to conduct art session. CHIREC students provided white sheets, crayons and guided their buddy students of the three venues in drawing and coloring. CHIREC students distributed chocolates after the completion of the activity as appreciation token for students of government schools and orphanage. 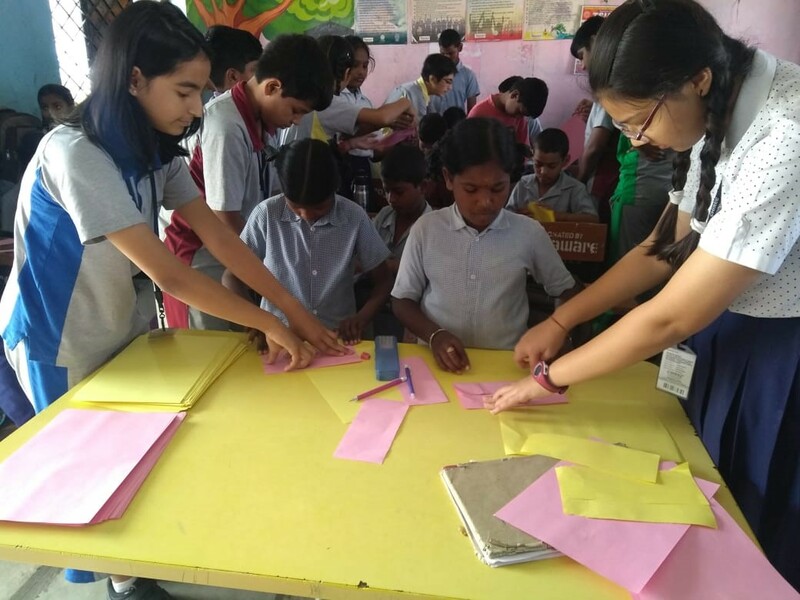 On 25th January 2019, the CBSE students of class VII, sections A, B & C conducted the session on origami for the adopted government school and the orphanage children. These kinds of creative sessions are extremely important for the development of innovation and emotional intelligence in the children. The Wall of Kindness is a welfare initiative where one can give away clothes, books, shoes, blankets, utensils, food and other items to the needy and underprivileged. With walls covered in graffiti, murals and artwork, the unique concept encourages sharing, and provides people in need with access to essential items. 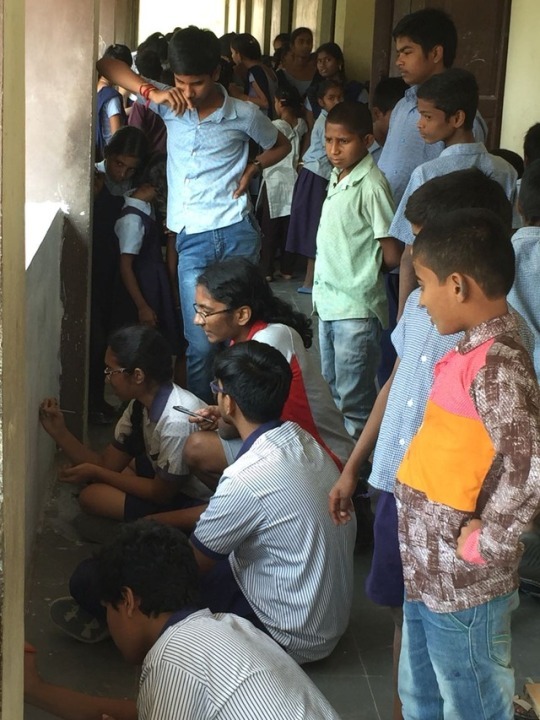 The concept was introduced by the Greater Hyderabad Municipal Corporation (GHMC), and inspired CHIREC’s Interact Club of CBSE wing to set up one such wall at Zilla Parishad High School, Kondapur (Masjid Banda). CHIREC students have painted the wall and built a shelter for the items donated through this initiative. The public can donate any usable items in good condition. 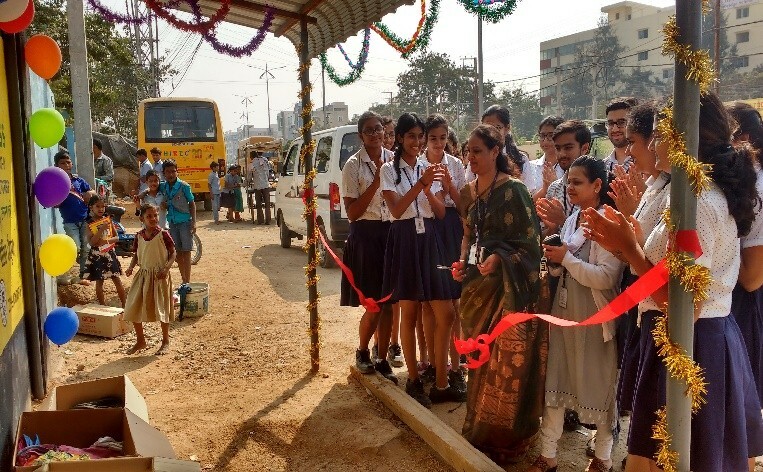 The wall was officially inaugurated on 1st December 2018 by Ms. Katyayini, Head Mistress, Senior Secondary, CBSE, CHIREC. 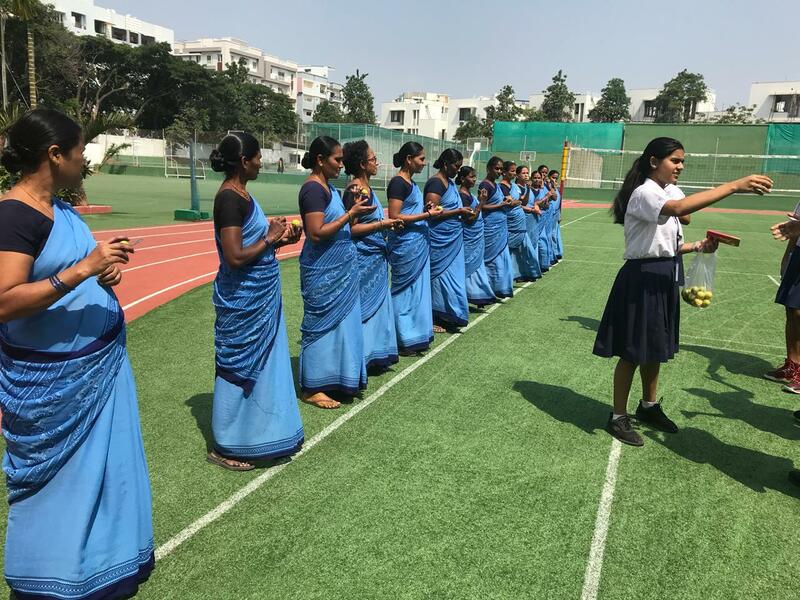 As a part of the "Joy of Giving Week", CHIREC Interact Club-CBSE wing organized a day of fun games for the aayas of the Kondapur campus, on October 6, 2018. 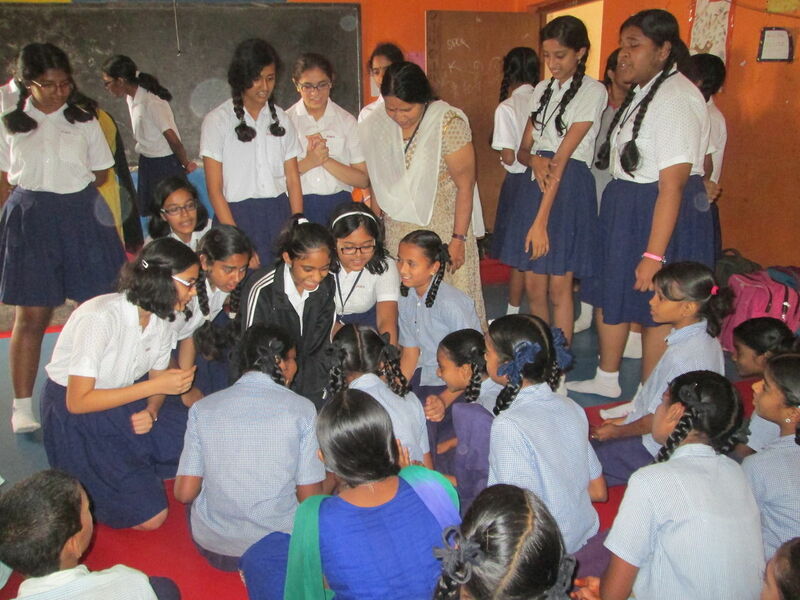 Students distributed snacks and arranged a Rangoli competition, a musical chairs event, and a lemon and spoon race. Principal Iffat Ibrahim awarded prizes to the winners of the competition, while every participant was given a special participation gift by the members of the Interact Club-CBSE wing. As part of Joy of giving week celebrations. 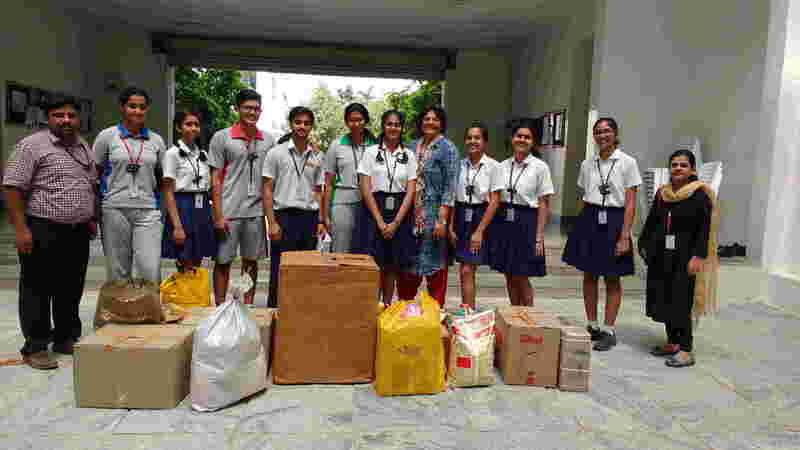 CHIREC Interact Club-CBSE wing organized a collection drive of food items such as Rice, Pulses, cooking oil, sugar, whole wheat atta, etc., from 1st-8th October 2018. 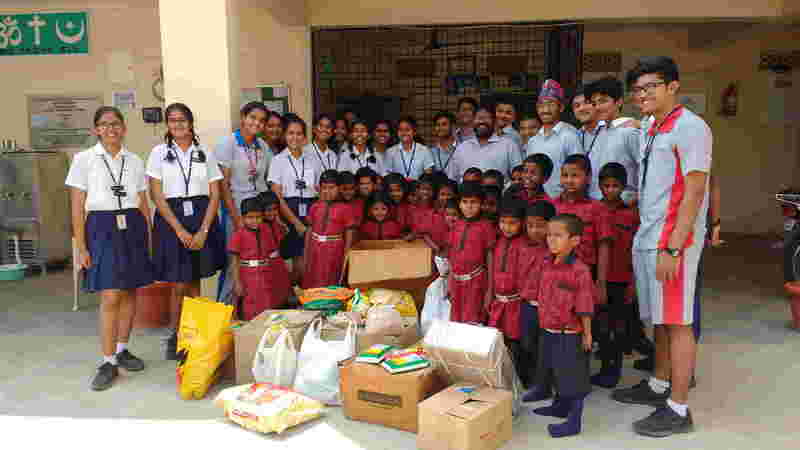 The students distributed these donated food items along with stationery supplies to Mahima Ministries, an orphanage and school situated at Ameenpur, Hyderabad. 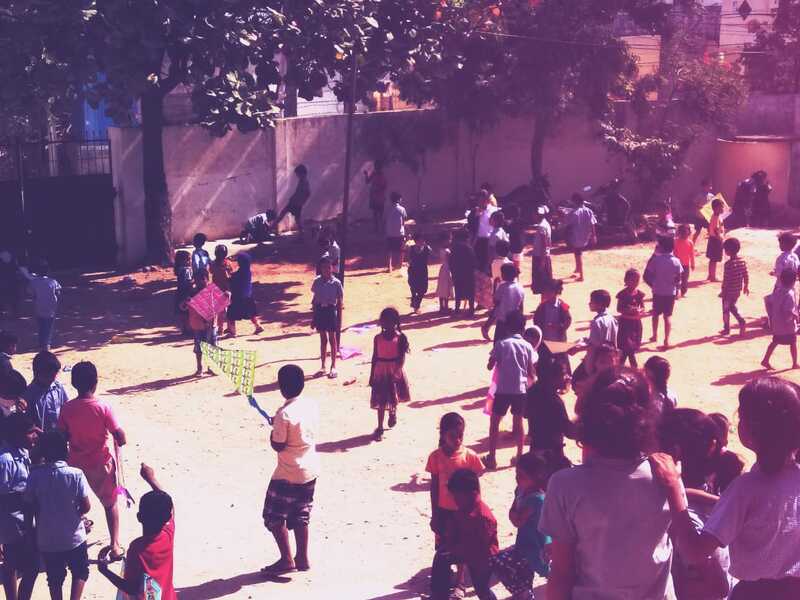 CHIREC students also played some fun games along with the students of the orphanage. 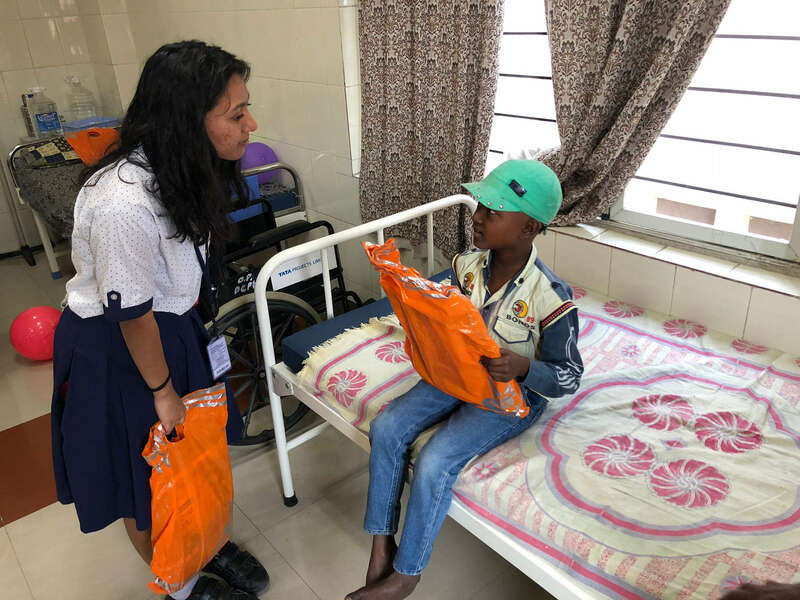 On July 11, the students of Class 12 visited the adopted government schools at Gopinagar and Anjaiahnagar while the students of class 11 visited Mahima Ministries, an orphanage situated at Ameenpur. 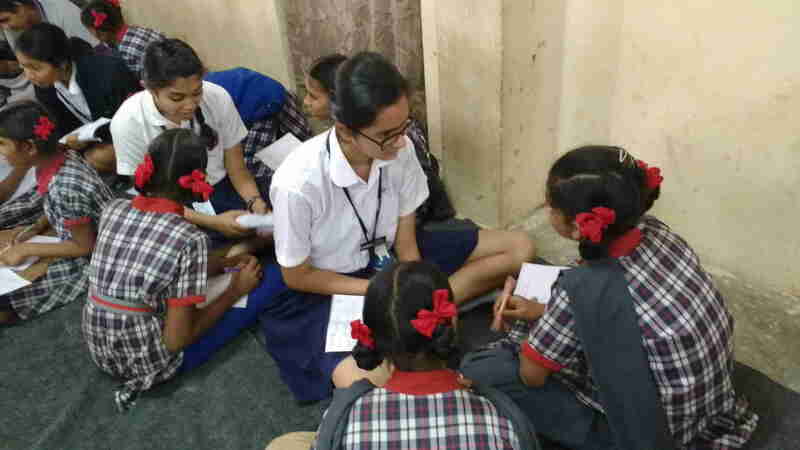 At these institutions, the CHIREC students divided themselves into groups and taught the first lesson from the Communicative English Course designed by CHIREC CBSE`s Department of English. 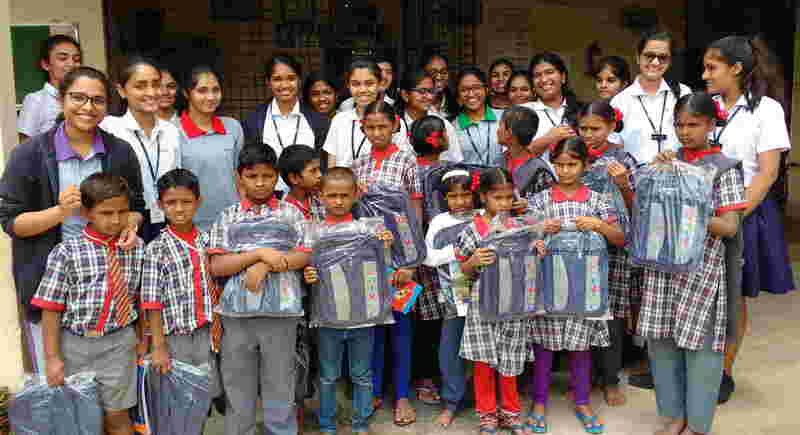 CHIREC students also distributed school bags to the students of the orphanage. CHIREC conducted a 10-Days Summer Camp for the students of its adopted Government School at Masjid Banda from 16th - 27th April, 2018. Eight activities were taught by experts to 80 students from Grades 6 - 10 including Handicraft, Computers, Stitching, Culinary, Chess, Carom, Table Tennis, Clay Modelling and Painting. 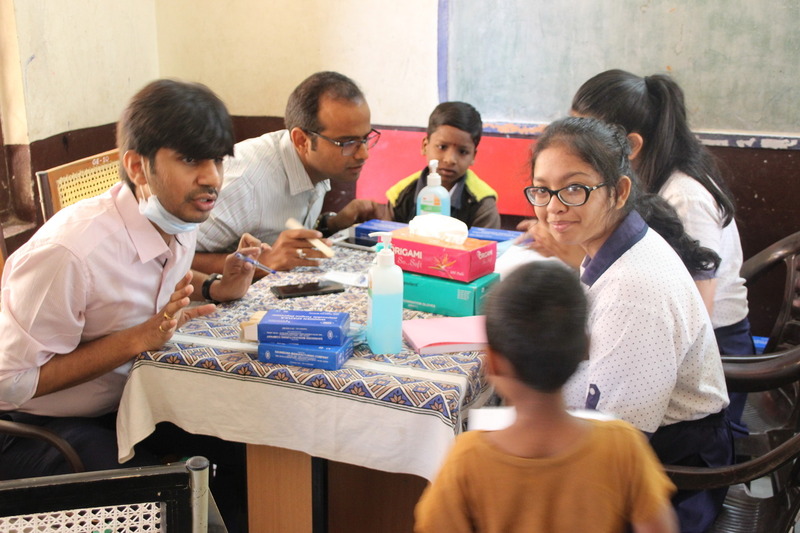 As a part of Community Outreach, 6 students of IB12 assisted a team of Doctors from Splendent Dental Hospital by conducting a Dental Camp for 500 students at CHIREC’s adopted Government School, Zila Parishad High School, Kondapur on 11th Apr 2018. 150 students were identified for further treatment in the month of June 2018, which will be provided for free. 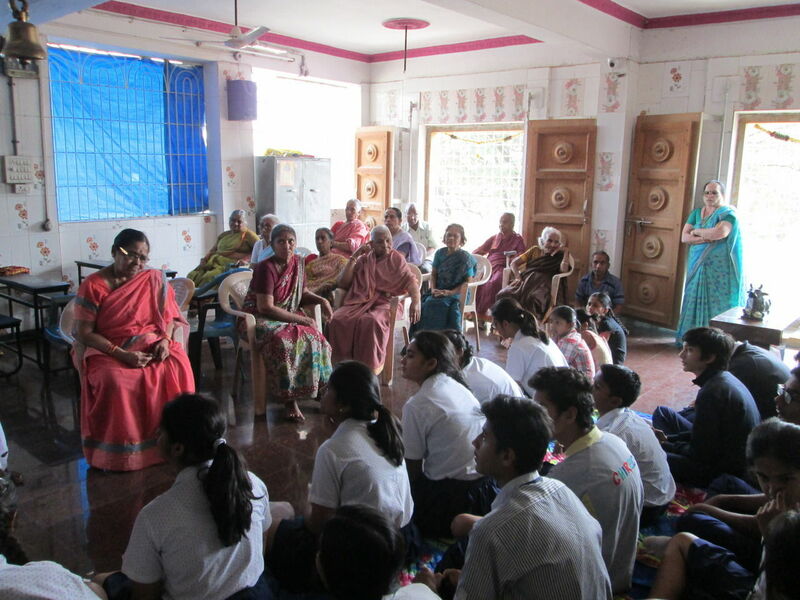 On 13th & 14th March, 2018, students of Grade IX F, accompanied by teachers Ms. Ratnamala and Ms. Parvathi, visited Vivekananda Seva Sangham, an old age home founded by Ms. Bharati in the year 2009. The visit was aimed at fostering empathy and love for the elderly. The students listened to childhood memories of some of the occupants, sang songs and distributed fruits as a token of love and friendship. `Age is never a barrier to spread happiness and love` is a lesson that the students learned. 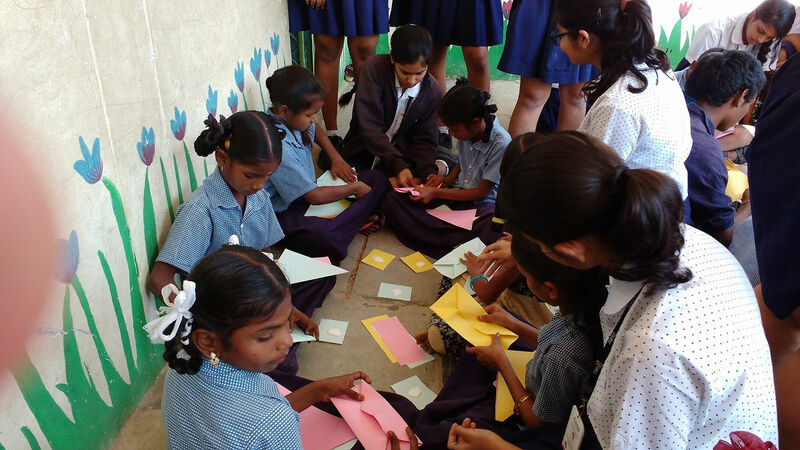 As a part of the community outreach program, students of Grade 11 conducted an Origami and paper crafts session for the students of the government primary schools situated at Gopinagar and Anjaiahnagar, Hyderabad on 10th November, 17. 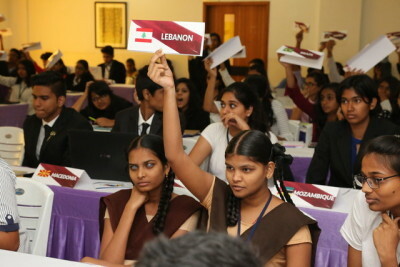 About 100 students of Grades 4 and 5 from the government schools were divided into groups of 5. 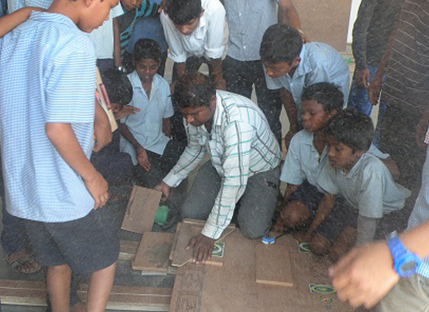 Each group was provided with materials for the activity and was trained by CHIREC students. Each student of the government schools made pen stands and bookmarks for themselves. 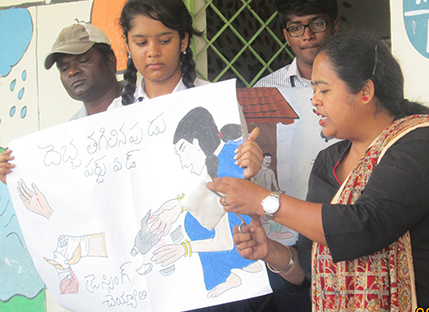 This activity was supervised by Ms. Bhavani, the SUPW teacher of CHIREC. 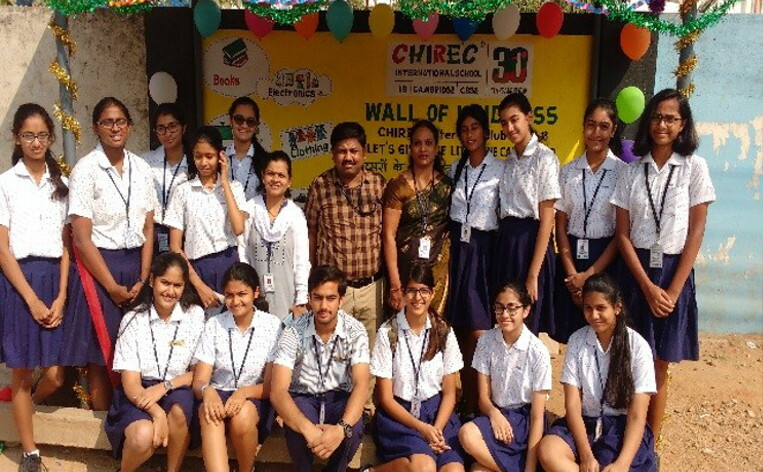 As part of CHIREC MUN’s community outreach program, 16 students from Devnar School for the Blind and the Kasturba Gandhi National Memorial Trust School were invited to participate in the 3-day event. 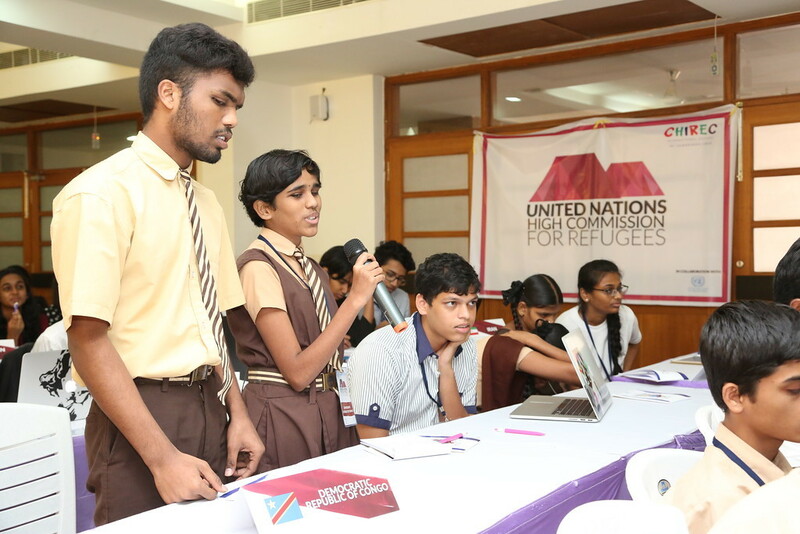 The event which is being organized in collaboration with the United Nations Information Centre for India and Bhutan saw around 350 student leaders from various schools across Hyderabad participate in various committees discussing pertinent issues concerning different nations. As a part of their community outreach, students of Grade X conducted live demonstrations of First Aid techniques at the government primary schools of Gopinagar and Anjaiah Nagar on 26th and 27th October 2017. Some students were trained to demonstrate first aid techniques for various scenarios like wounds, burns, nose bleeding, bruises, dog bites, fainting, fractures and fits. They also shared information about ambulance services. 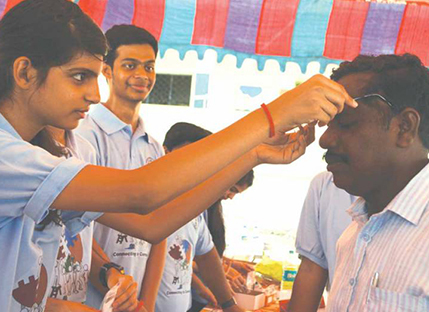 Members of the Interact Club provided three first aid kits, surgical cotton and band - aids to the government schools. 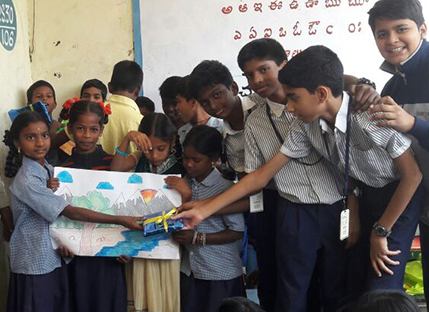 As a part of their community outreach, students of Grade 9 conducted an art competition and talent show for the primary students of the government schools situated at Gopinagar and Anjaiahnagar, Hyderabad. The students of the Government schools were divided into two groups based on their interests, into the art and talent shows. The theme for the art competition was ‘Nature’ and ‘My School,’ whereas in the talent show, students participated in singing, dancing and acting performances. CHIREC students guided the participants in both competitions, and judged the competitions based on specific criteria. Winners and the participants of the competitions were given prizes. 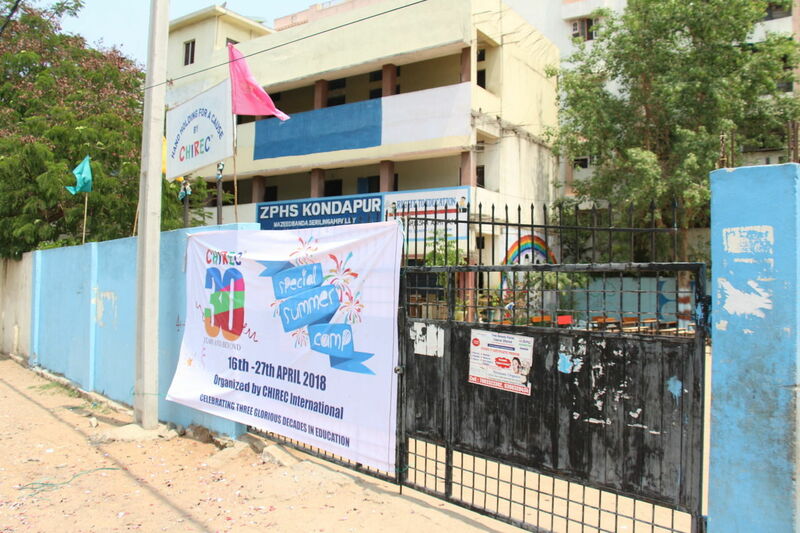 As part of the Children’s Day celebrations, members of the Community Service Committee visited two Government Anganvadi centers situated at Kondapur, Hyderabad. CHIREC students distributed 60 slates, 60 slate pencil boxes and educational charts about Alphabets, Fruits, Vegetables, Animal kingdom, Human body parts and shapes. CHIREC students planned some fun games for the little ones, and also made them sing and dance. Members of the Interact club celebrated Children’s Day with the students of Government primary schools of Gopinagar and Anjaiah Nagar. 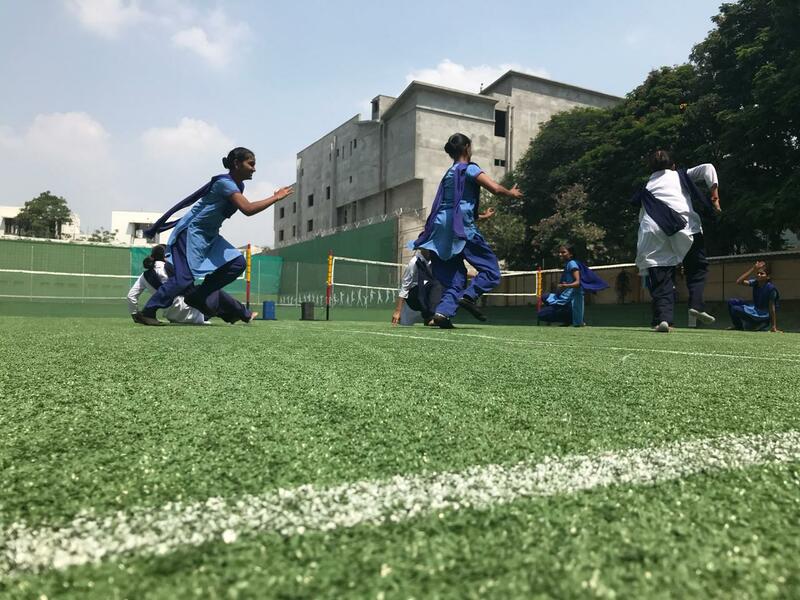 The CHIREC students planned and played fun games such as ‘Ball Toss,’ ‘Pin the Tail,’ ‘Skipping,’ ‘Passing the Parcel,’ ‘Hurdle Race’ and ‘Cup Stacking’ with the government school students, and distributed snacks and juice. As a part of the Joy of Giving initiative, the students of IB 11 and AS level collected toys, stationery, books, woolen wear and clothes from the students of Classes 1 to 12. Students proactively went around classes making announcements, reminding fellow students of the importance of giving, and collecting donations. On 14th October, in collaboration with NGO, ‘Bring a Smile’, the students visited the MNJ Cancer Hospital in Lakdikapul, and donated all the articles that they had collected to patients in the children`s ward of the hospital. The students also spent some time talking and interacting with the families at the hospital. 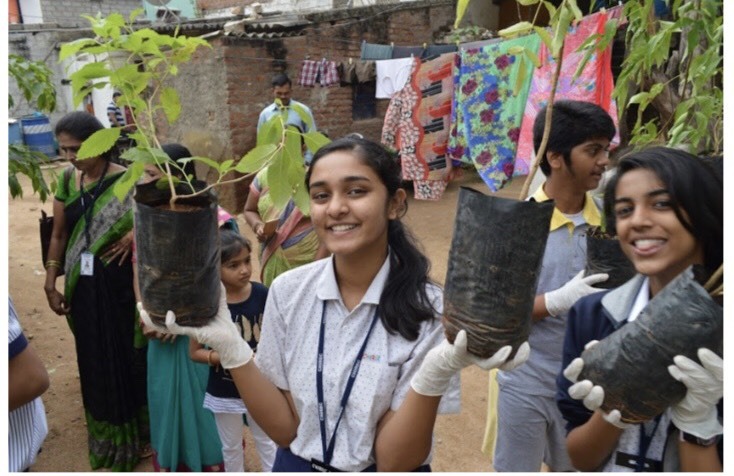 A group of 15 students from IB-11 and C-11 undertook an initiative to rehash an environment of learning for primary students (Grades 1 -5) at Government School, Masjid Banda. The first step for the CHIREC students was to grasp the learning objectives in English, Math and Science from the primary teachers. 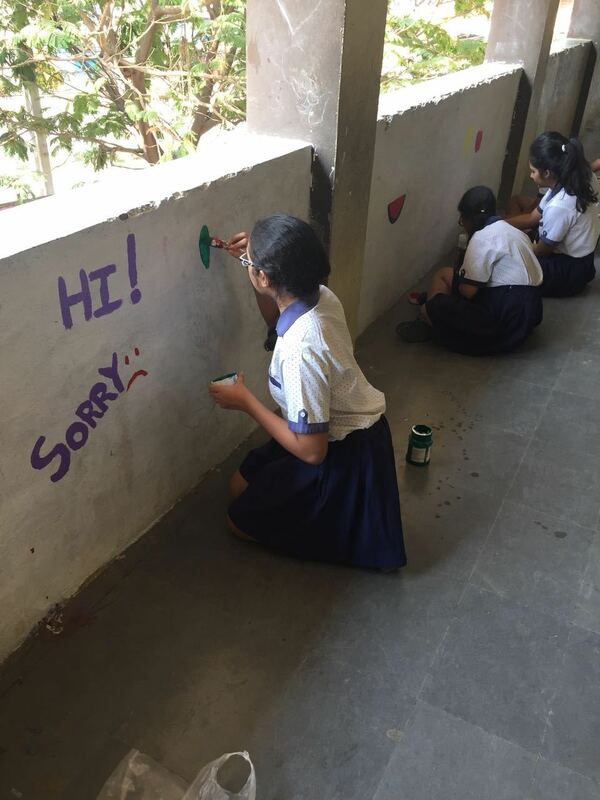 After identifying common topics that need to be reinforced for long-term retention, students decided to paint the corridor walls with learning elements so that with visual display, concepts can be strengthened. Students plan to make science models and charts for use as teaching aids for primary classes to help teaching and learning. As a part of the Community Outreach Programme, the students of Grade IV, along with members of the community service committee, visited the Grade IV students of Nachiketa Tapovan School, on 27th July 2017. 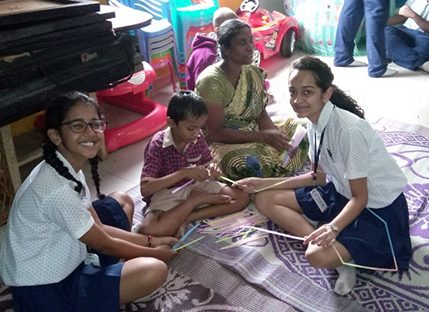 The students of Nachiketa Tapovan School taught the CHIREC students how to make paper boats, and the CHIREC students taught them the art of making origami swans. 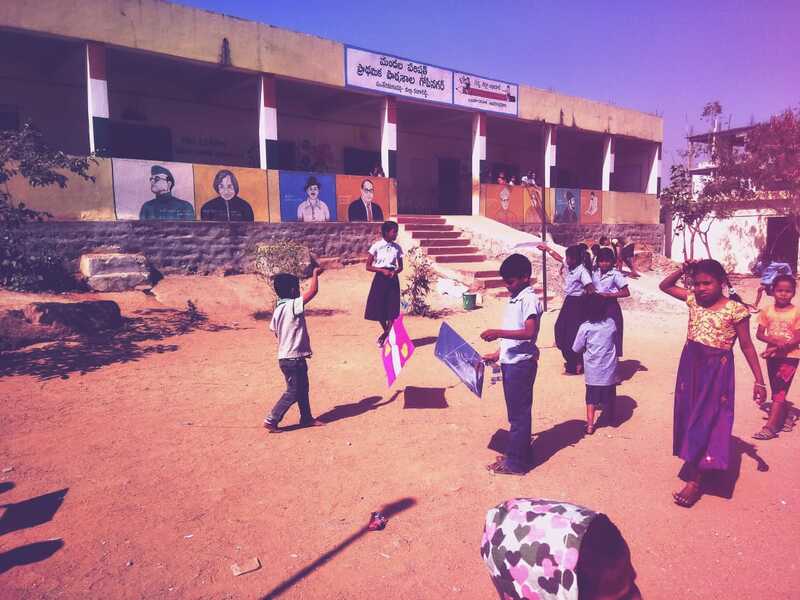 All the students sang the song ‘Love is all you need’ together, and recited the poem ‘If you are happy and you know it, clap your hands.’ The students from CHIREC also distributed 45 school bags, 107 lunch boxes, 157 pencil boxes and 40 pairs of footwear to the students of Nachiketa Tapovan School. The students of Grade X B from the CBSE section visited Nachiketa Tapovan School in Jubilee Hills on July 1, 2017. The CHIREC students brought science activity kits, card games and charts to the school. 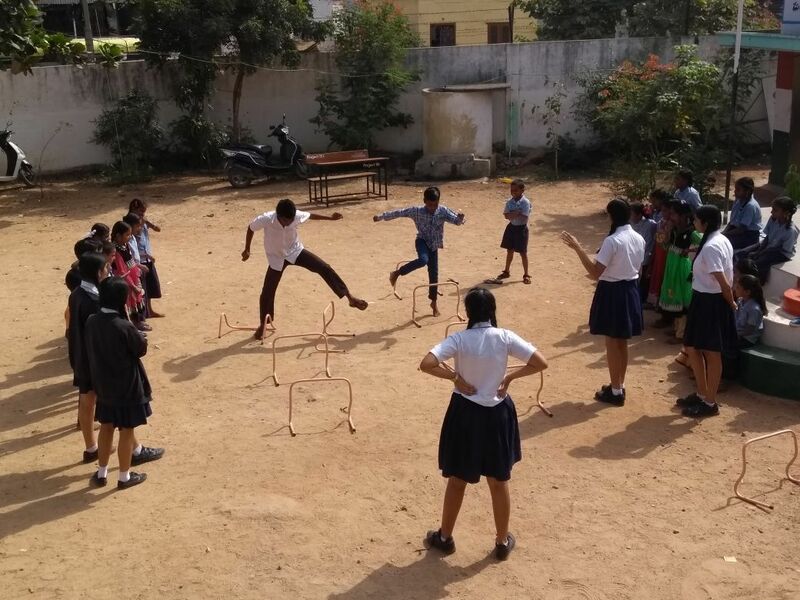 Students of both schools played games to learn concepts of science such as the human circulatory system, wildlife preservation, and the importance of a balanced diet. CHIREC teachers, Ms. Ratnamala and Ms. Shanti Rao, taught physics and social science for the Grade X and Grade IX students of the school. 60 students from Grades 9 A and 9 B visited the students at the Ishwa Foundation, which caters to street children. 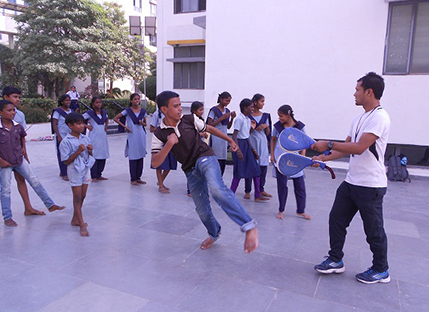 The students engaged in indoor and outdoor games such as Chess, Volleyball, Kabbadi and other team building activities, with the children at the Ishwa Foundation. 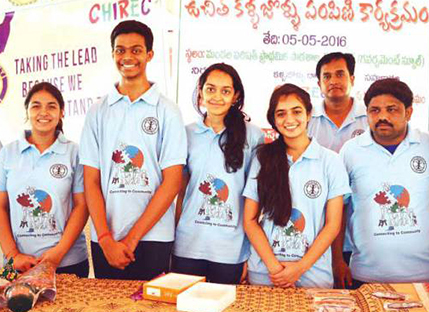 The Interact Club of CHIREC International School organized a Blood Donation Drive on Independence Day, August 15th at the CHIREC Kondapur campus in collaboration with the Obulapathi Challa Rotary Blood Bank. 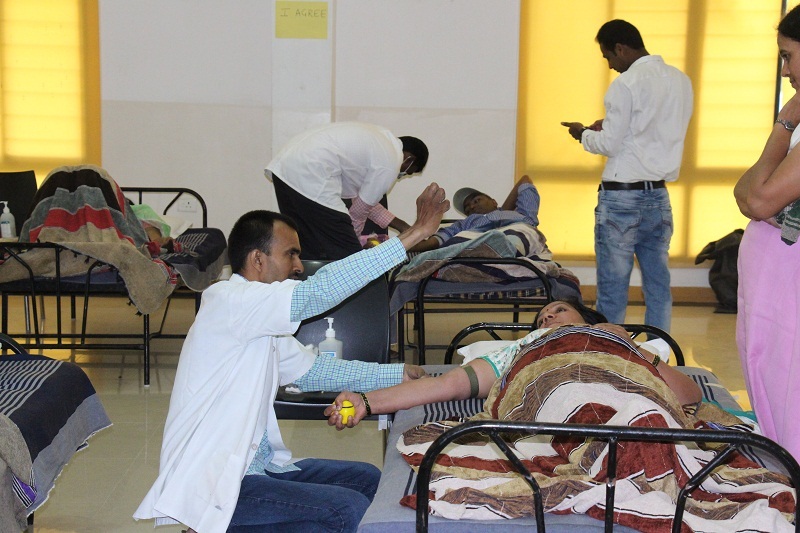 96 people – parents, teachers, administration staff, drivers, ayahs, donated blood, some for the very first time. 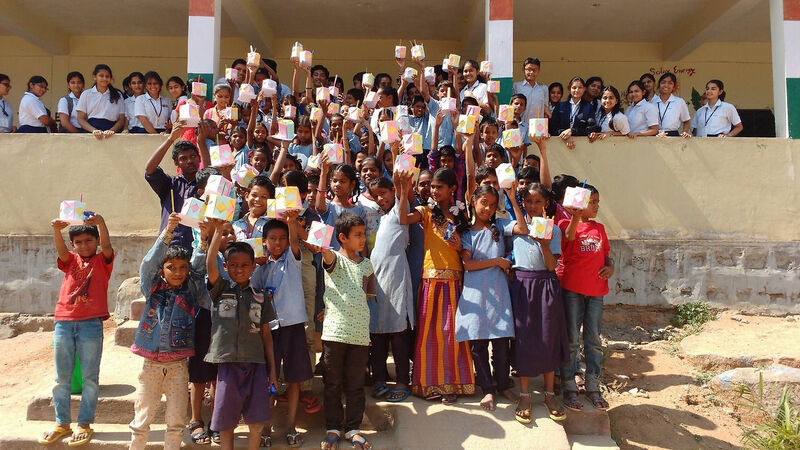 The CHIREC community came together in a big way to support Akshaya Patra, an NGO that works towards providing a mid day meal to school children in hundreds of government schools across 11 states in India. 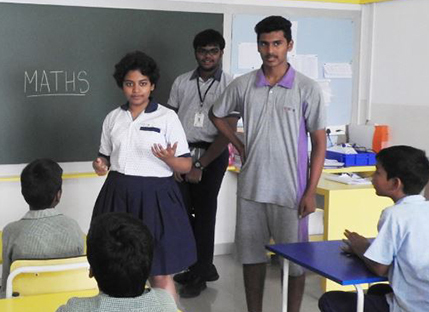 This year, Stage 10 students got together and conducted drives to raise awareness in their respective housing communities to support Akshaya Patra. These drives were extremely successful, so much so that more than 50% of the total amount collected was raised by these dedicated students. 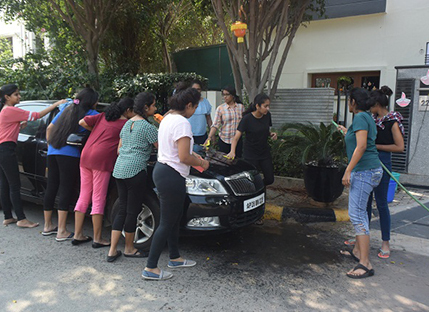 Another group of students from Stage 6 to 12, set-up a car wash in their housing area. 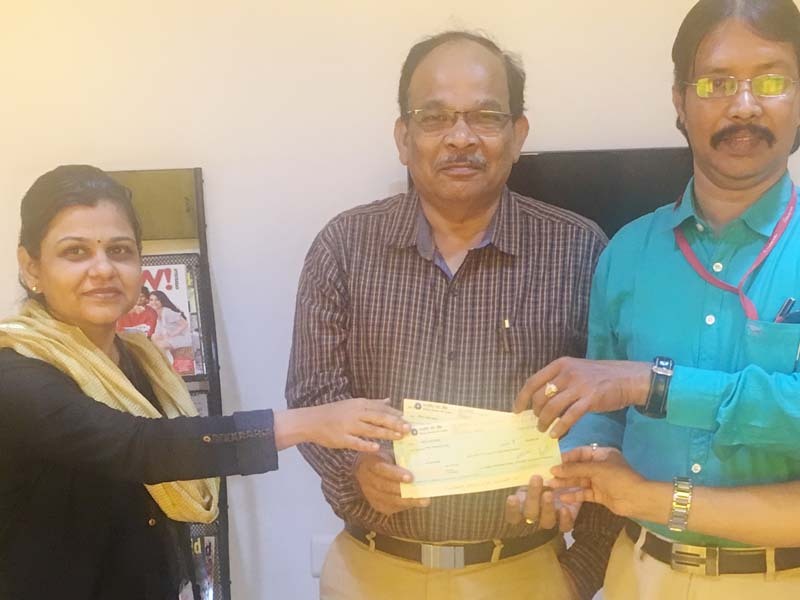 We are proud to say that these commendable efforts by our students coupled with your generous donations along with the contribution of the staff, has added up to a sum of 1.50 lakh rupees. 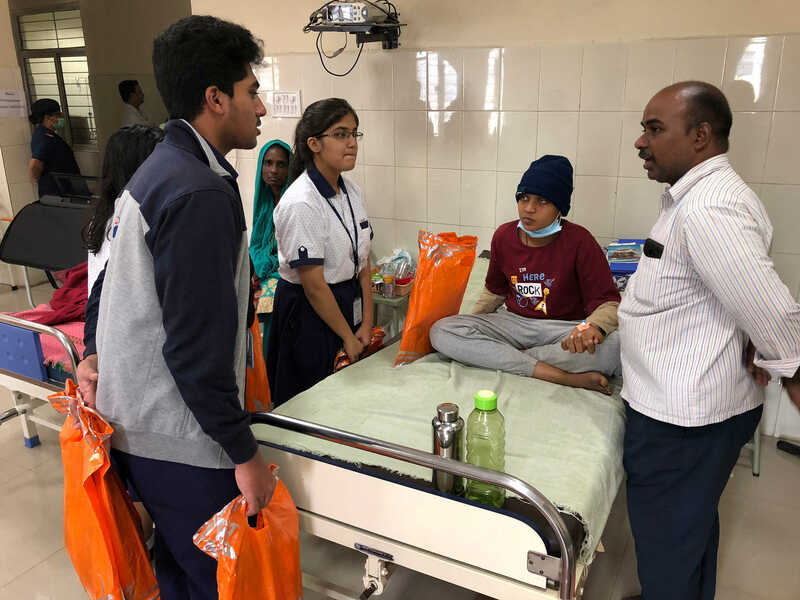 On the account of children’s day, students of CHIREC interact club-CBSE wing brought smiles on the faces of about 100 children undergoing cancer treatment at MNJ cancer hospital, Hyderabad on 14th November. CHIREC students have planned several games for the children. 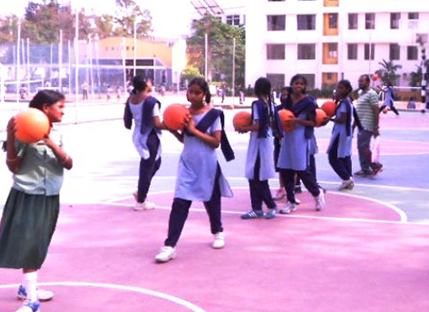 All the children have actively participated in all the games and enjoyed the fullest. 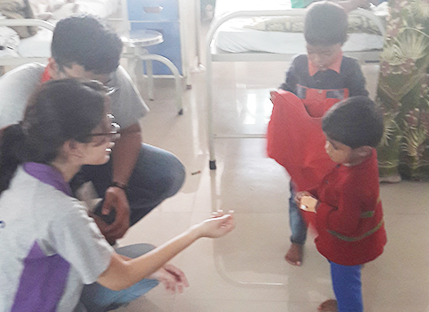 CHIREC students personally spoke to each and every child and distributed sweets to all. As part of its IB - Community activity service drive, CHIREC International IB students imparted instruction to the students from Government school - Masjid Banda, in the areas of spoken English and Math. 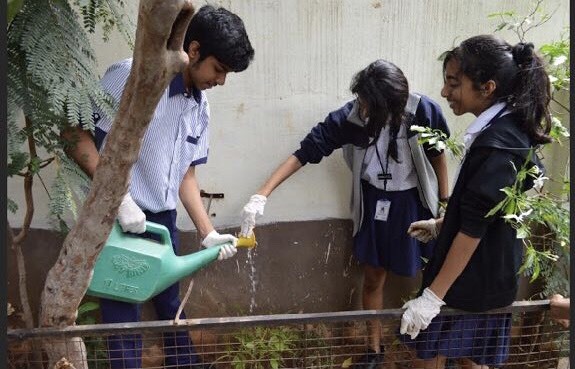 While the entire school was busy celebrating Teachers’ Day at CHIREC, the Interact Club-CBSE & The CBSE Community Service team chose to celebrate in a unique way. They felicitated all the teachers and the Principal of the newly adopted Government Primary school, Gopinagar, Serilingampally and provided them with snacks. Every year, a week long summer camp is conducted for the students of the Government School at Masjid Banda. 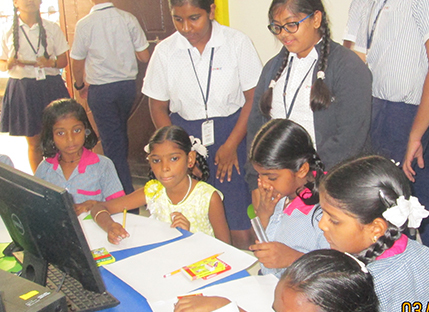 About 75 enthusiastic students from the Government school participated in the summer camp. The children are given vocational training in ICT, Needle Craft, Arts and Crafts and Carpentry for 2 hours on each day. The Summer Camp is instrumental in showcasing the hidden talents of the children of the Government school. Children with outstanding performance in each category are identified and awarded appreciation certificates. 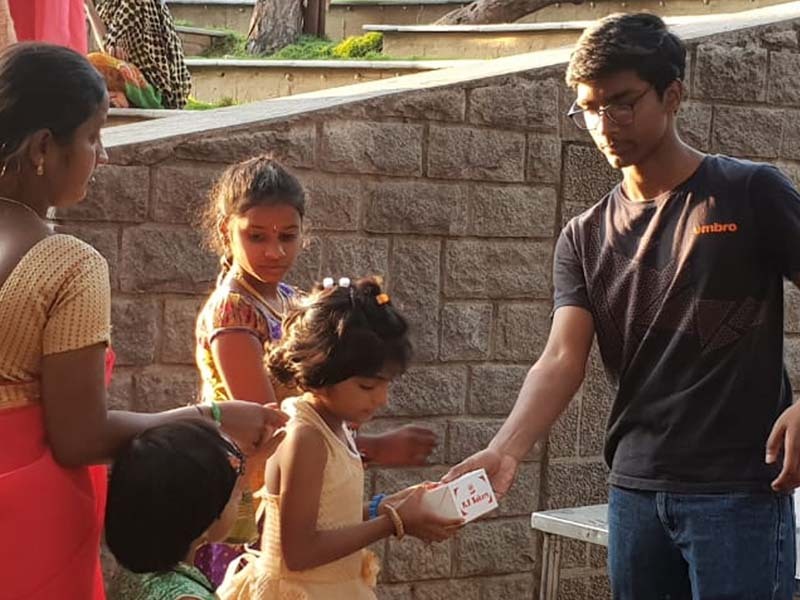 On May 5th, the 10th, 11th, and 12th grade students (CBSE) of the Interact Club, along with the staff of CHIREC International distributed 100 pairs of free eyeglasses at the Gopinagar slum near Hyderabad Central University, Gachibowli. 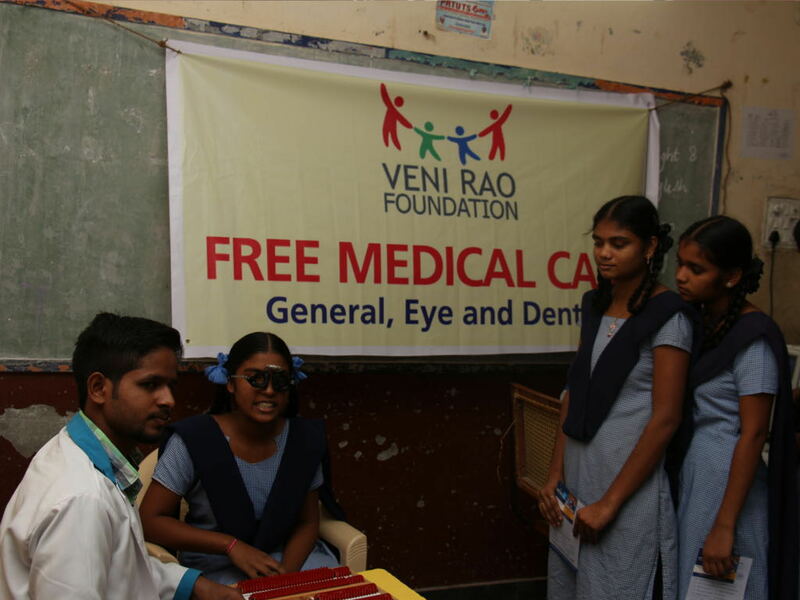 They sponsored these prescribed spectacles after an eye checkup camp that was conducted during the previous week. In keeping with our goal of developing students into complete human beings, CHIREC has an effective programme to extend helping hands to those who are in need. 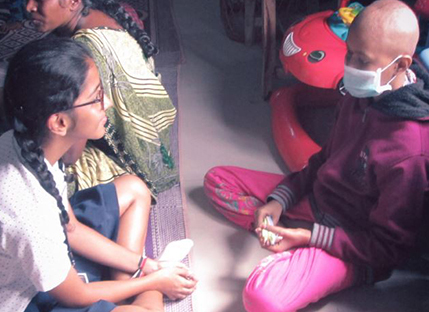 Students are taught to be empathetic with the less privileged members of society. 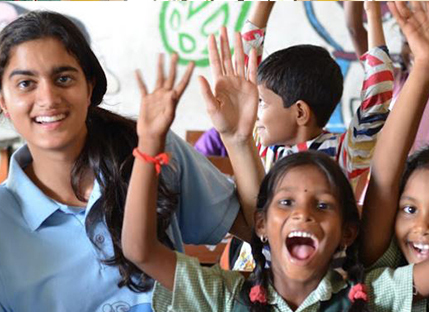 Under the guidance of their teachers, students spend time and conduct activities with children from orphanages, street children in construction sites, and senior citizens in old age homes, as per their schedules. These activities range from reading books to the elderly and enacting plays to entertain them, to sharing the nuances of good living with the street children. Every year, CHIREC International hosts a sports camp for the students of the Masjid Banda Government School. Students participate in Athletics, Basketball, Handball, Volleyball, Cricket, Table Tennis, Chess, Taekwondo, Gymnastics and Archery intensives taught by CHIREC faculty. 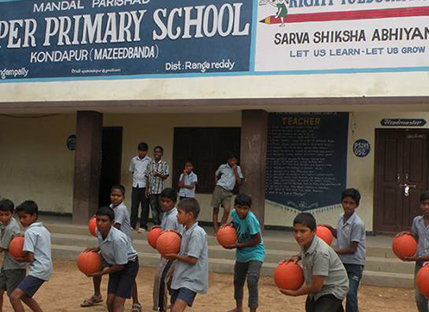 Each student chose a sport to play for the next academic year and will continue learning at CHIREC’s Kondapur campus. Mr. Ananth, the Principal of the Mandal Parishad Upper Primary Government School, lauded the efforts of CHIREC’s Activity Teachers for having given the students the quality training they deserved. 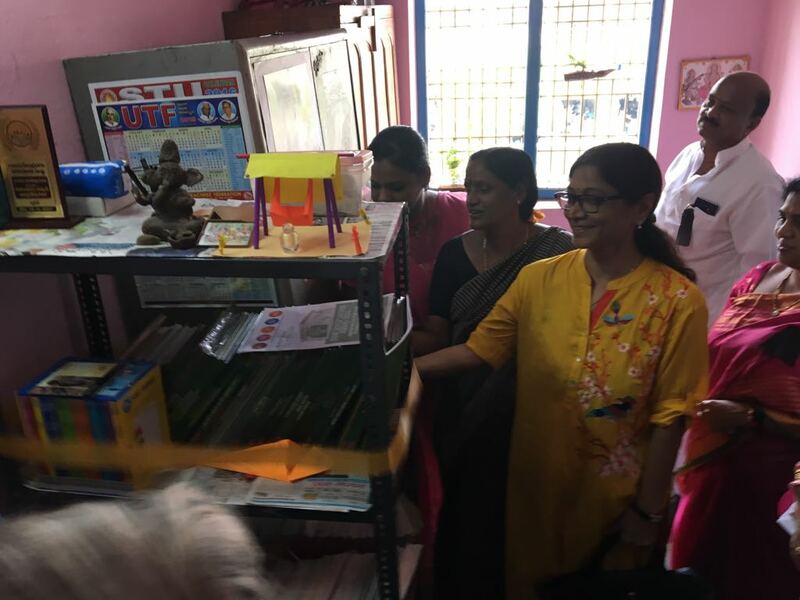 CHIREC has been lending a helping hand to the Mandal Parishad Upper Primary Government School at Masjid Banda, by giving them books, stationery, play things and furniture, as a part of its Corporate Social Responsibility. CHIREC has taken the initiative to organize an Adult Education Programme for its Bus Drivers and Conductors, employees who are educated up to Class X. 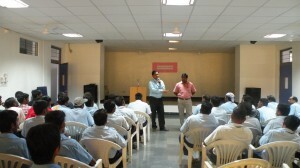 The inauguration of the programme was held on the 13th of July, 2011. 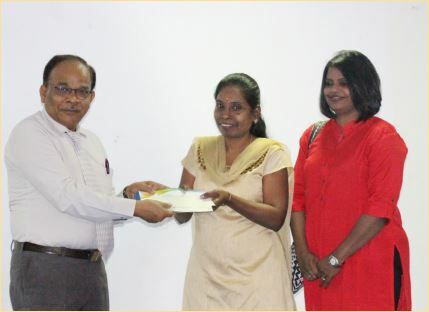 The programme will empower these individuals to conduct their day-to-day lives sensibly, in a more conscious manner.